Hi there! 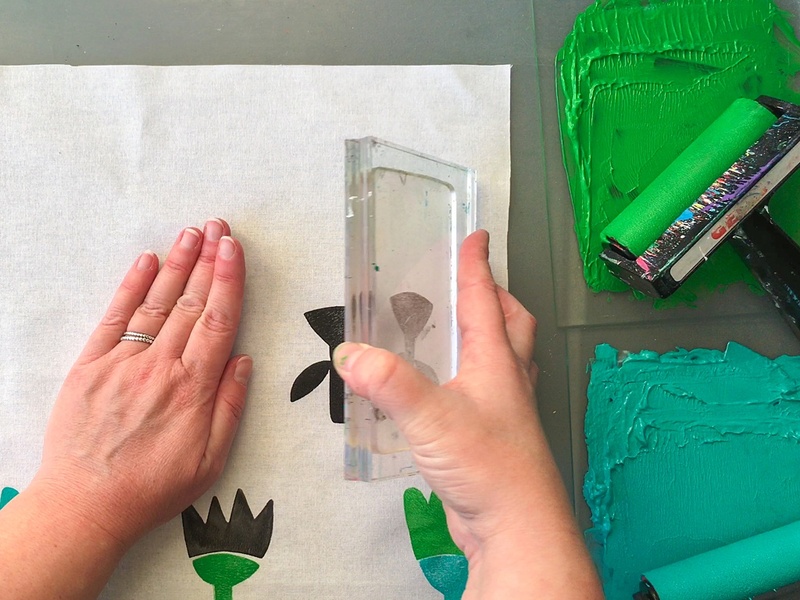 It’s Marsha here today showing how you can print your own designs on fabric using Gelli Arts® gel printing plates! 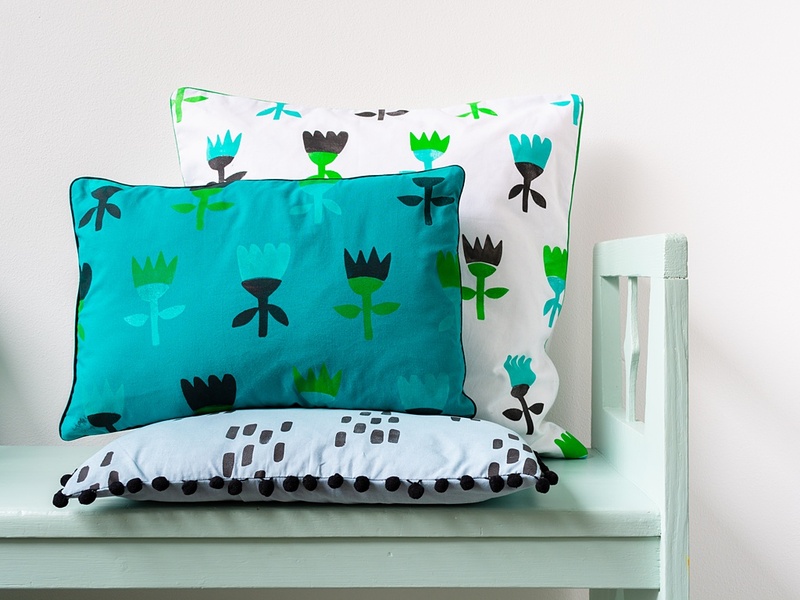 It’s super fun to add a personal touch to your home decor with hand printed fabrics. 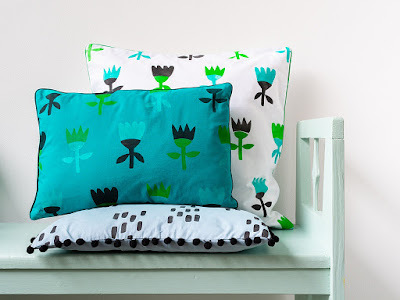 Our cushion covers were looking a bit tired, and with the festive season in full swing, I was looking for a budget-friendly way to create a couple of new covers. 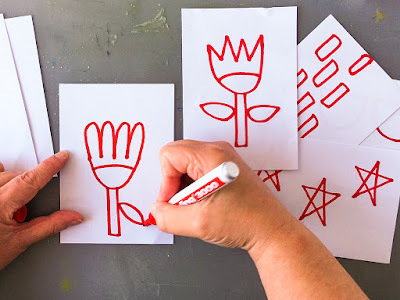 Monoprinting on fabric can be a fun activity to do with your kids, too! I have to warn you though; this is not a project to attempt when you are in a rush! I recommend leaving plenty of time to complete. You may also need a bigger work surface than usual for the best possible results. Pre-wash and iron the fabric before printing. The paint will grab the cotton fibers a lot better when all of the sizing is washed out. If you already know what you are going to make with the fabric once it’s printed, you can cut it to the sizes needed for your project. Think about designs you would like to print on your fabric. Draw them on paper. Keep it simple. 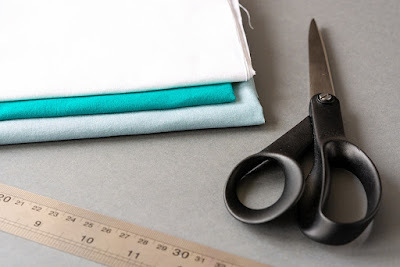 Remember that even the most basic shapes transform plain fabric into something amazing. Choose the designs you want to use. Trace them onto transparencies. 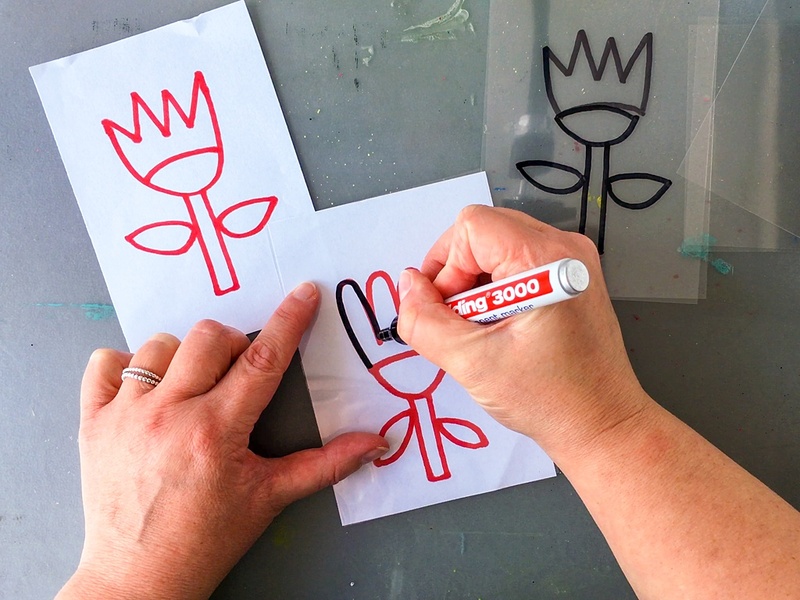 I’ve cut my transparencies to a size that covers the Gelli Arts® gel printing plates I’m going to use. 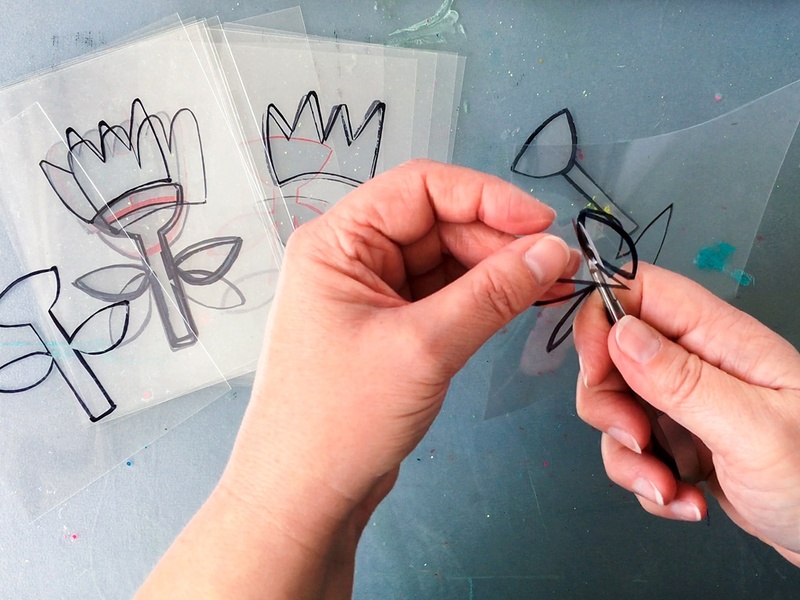 Trace each element of the design that you would like to have a different color, onto a separate transparency. Having to clean stencils in between prints will slow your printing process, so think about making duplicate or even triplicate stencils beforehand. Set up your printing station. I cover my work surface with a non-slip plastic desk mat so the fabric can lay flat and won't move. The plastic desk mat also ensures I can quickly wipe away any paint that ends up on the work surface so that it doesn’t accidentally stain the fabric. I also make sure I have plenty of room in the vicinity of my work surface to store all the stencils I’m using in between prints. Choose the paint colors you want to use. Limit your color palette to a maximum of two colors plus a neutral. 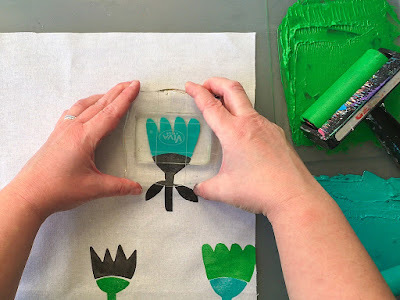 You can use regular acrylic paint to monoprint on fabric, but if you need it to be washable, you’ll need to use a fabric paint or acrylic paint mixed with a fabric medium. Follow the instructions on the fabric medium packaging to make sure you are mixing the correct amount of paint/medium for the best result. I’m using acrylic paint mixed with a fabric medium. 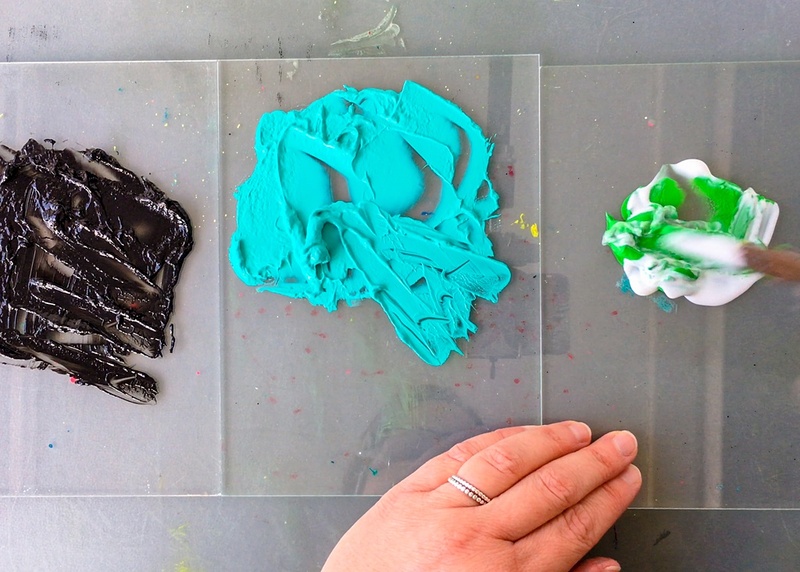 I’m using three plexiglass palettes and three brayers, one for each color. 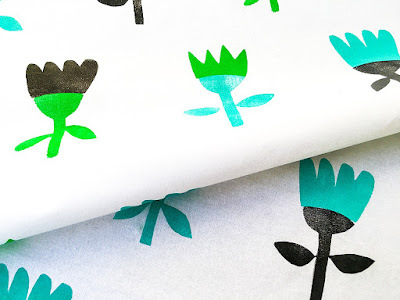 Start with gel printing your fabric. If you want to print a repeat pattern, it’s easiest to start in the center of your material, printing one row at a time. 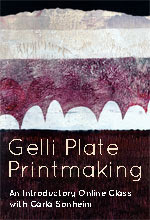 Place the stencil of your choice onto the Gelli Arts® gel printing plate. 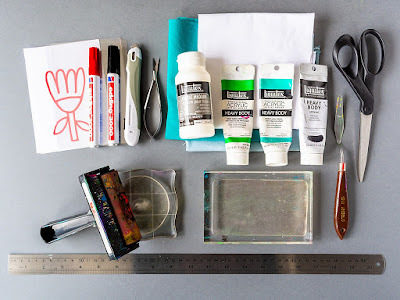 I’m using a selection of smaller gel printing plates, each placed on an acrylic-stamping block. Cover your brayer with paint and then roll the paint over the stencil. Remove the stencil and press the Gelli Arts® gel printing plate paint-side down onto the fabric. 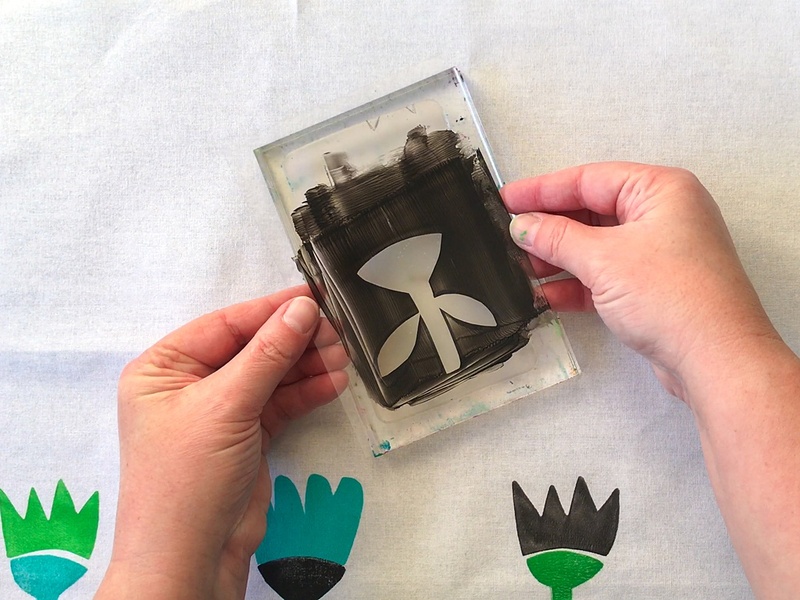 Lift up the gel printing plate and determine if the print needs another layer of paint. 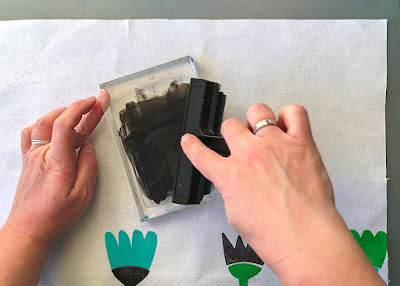 If so, you can quickly put the stencil back on to the gel printing plate, apply paint again, remove the stencil, and stamp over the previous print. 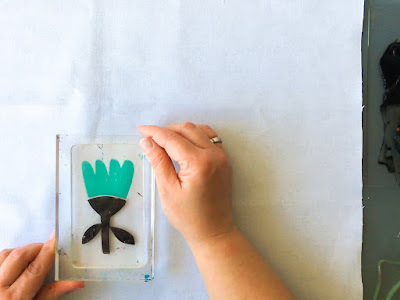 Wipe the plate clean with a damp cloth or a baby wipe whenever you want to change your paint color. Keep going until you are satisfied with the result! Leave your gel printed fabric to dry entirely before heat setting the paint with an iron. Consult the label of your fabric paint or fabric medium for the exact instructions. 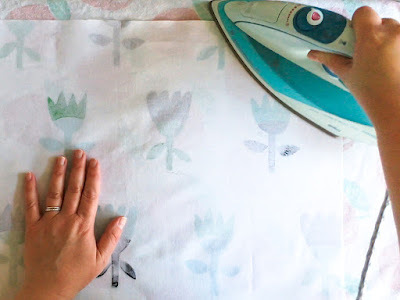 Be sure to protect your ironing board cover with a cloth or parchment paper before ironing monoprinted fabric. This will prevent the paint from accidentally staining the cover. Voila! Your fabric is ready for further use! 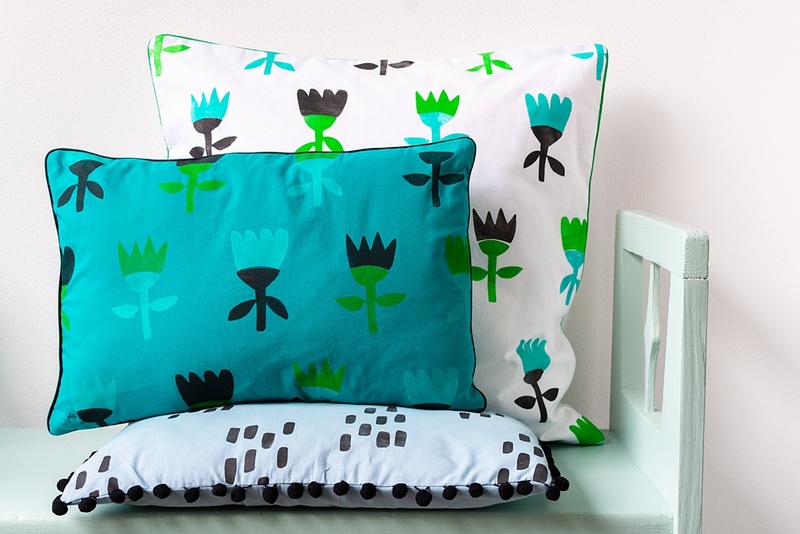 I gel printed enough fabric to cover all of my cushions. 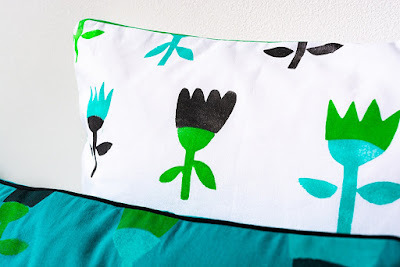 I’m not a trained seamstress, so I turned to YouTube and found a ton of cushion cover tutorials that were super helpful. Most of them are easy to follow, even for beginners! Wishing you a very happy and festive season! Philadelphia, PA All rights reserved. Awesome tutorial video. Thanks, Marsha. Glad you like it! Thank you! Thankyou for publishing this, its great. Very clear concise instructions and photos. Thank you! Glad you like it! Do you have to store the plate in the pkg it came in. That's awesome! Love your finished covers! Thanks so much for taking the time to comment on our blog! We hope you find it fun and helpful in your artistic endeavors! We will try my best to answer your questions and provide good, helpful information in a timely manner. We look forward to hearing from you and thank you for stopping by! 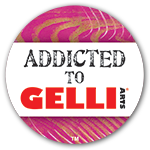 Gelli Arts® and Art Foamies® Collaborate!